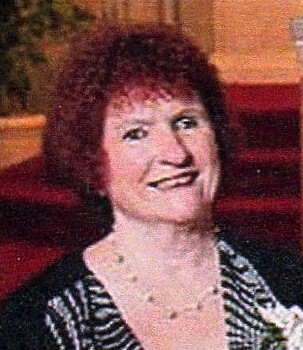 Bonnie L. Rosenbeck, 71, of Wapakoneta passed away at 2:07 p.m. Tuesday March 27, 2018 at her residence. She was born on January 12, 1947 to Eugene & Irene (Baka) Fuller who preceded her in death. On June 28, 1966 she married Gene Rosenbeck and he survives in Wapakoneta. She is survived by four sons, Brian (Kelly) Rosenbeck of Shawnee, Christopher Rosenbeck of Wapakoneta, Alex Rosenbeck of Cridersville, Jason Rosenbeck of Delphos; 10 grandchildren, Will, Mike, Ryan, Katie, Alex Jr., Brittany, Megan, Maria, Jason Jr.; one great-grandchild; and step-brother Larry (Jean) Peters. She was preceded in death a step-father John Peters; a sister Rosie Fuller; and a brother Frank Fuller. Bonnie was a homemaker and a food and product demonstrator. She was a member of St. Joseph Catholic Church, Wapakoneta. She enjoyed canning vegetables and going to casinos. Most of all Bonnie loved playing bingo and because of having home treatments she was able to continue playing up until her last days. Mass of Christian Burial will begin at 10:30 a.m. Saturday April 7, 2018 at St. Joseph Catholic Church with Rev. Patrick Sloneker officiating. Burial will follow at the church cemetery. Friends may call from 4-8 p.m. Friday at SCHLOSSER FUNERAL HOME & CREMATION SERVICES, Wapakoneta. Memorial contributions may be directed to the family for Masses in memory of Bonnie.